Wouldn't it be great if you could find outerwear made right here in the USA that's as comfortable as it is stylish? Let me introduce you to Janska Clothing That Comforts. The premise is simple. 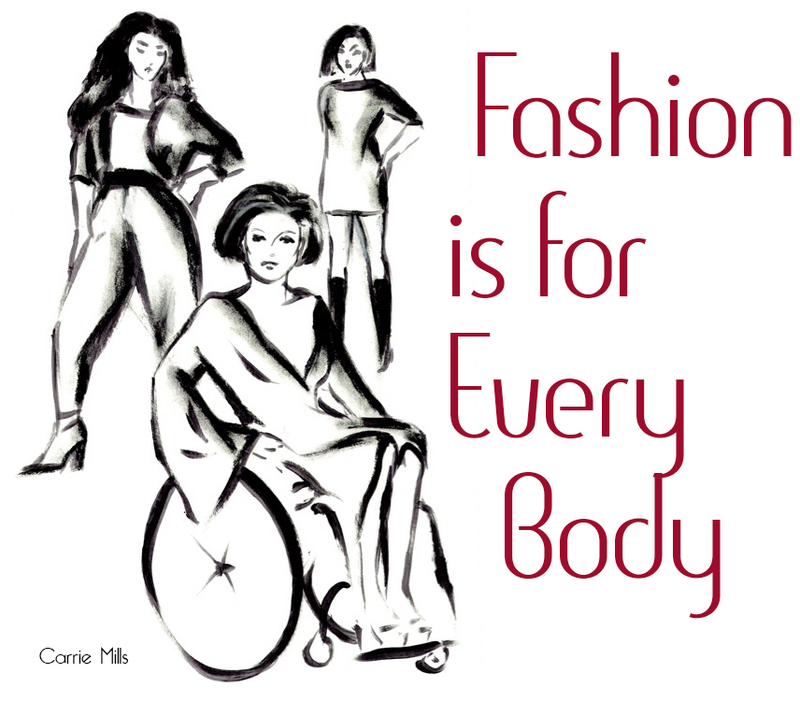 Create vibrant, comfortable, disability-friendly clothing using classic lines and lightweight fabrics, and manufacture the entire line in America. I'm over the moon about Janska for several reasons. Janska's President, Jan Erickson, initially created a single piece for her friend Jean, who had experienced a stroke and was left with limited mobility. The design came to Erickson in a dream, and she sketched it out and took her drawing to a local seamstress to construct the actual garment. The result was a warm, vivid fleece jacket with loose sleeves and a back slit that was easy to put on, a joy to wear and didn't look at all like typical adaptive clothing. That jacket became the start of Colorado Springs based Janska Clothing That Comforts and Janska Wellness Wear. Janska Clothing That Comforts makes wearing fleece a fashion statement. If you have any doubts just look at the gorgeous Eliza Jacket in Paprika. It's soft, warm, and cozy - and the oversized buttons are so much easier for someone like me who has a disability that impairs fine motor skills (aka fumbly fingers) to button. But all that aside it's just beautiful. The color and cut are great for a girl that has curves, and if you get bored it's fully reversible so it's like having a second jacket. I'm wearing mine with a graphic silk top, black bootcut jeans, and my faux-boy ankle boots. Janska Wellness Wear was created to give people with disabilities lovely options like the Easy Wear Jacket and LapWrap that are easy to put on and won't get tangled up in wheelchair spokes. The MocSocks are especially comfortable for diabetics because the seam is exterior facing - but they're great for anyone with a permanent case of cold feet ( no pun intended). Most importantly they just look cool. Nothing fuddy-duddy-old-farty-poor-thing about these clothes. It's high time the disabled and elderly had these kinds of fashionable options. Thank you, Jan Erickson! I was sent the jacket at no cost to me, but the review is mine all mine, and Janska is a company that truly embodies the spirit of what being a Spashionista is all about. Please check out Janska to see the full line of jackets, capes, wraps, socks, and many other stylish products. You can keep up with sales and new products through their Facebook, Twitter, Pinterest, and Google+. Be sure to like the Janska Wellness Wear's Facebook and Twitter pages as well. Oh, one more thing exclusively for Spashionista readers: From now until December 31st enjoy FREE shipping on any order over $50! Just click on the Janska graphic in the sidebar and enter the code "RollModel" at the checkout. Linking up with my lovely hermanas Españolas and all around the world for Share in Style: Halloween. I know I'm not posting a costume yet, but I do have one that I was desperately seeking (that's a hint) and I'll post it soon. I also have news about Rhoda, Amanda Valentine, and a really special wedding, along with a very punk fashion show, some exquisite jewelry, resurrected vintage clothing, a Gothic Circus, and some pre-holiday fun. Don't forget, there's still time to enter to win the fabulous SUNNYband Sunny and I are giving away. You have until midnight on November 1st to try your luck.